Income Opportunity — Global Domains International, Inc.
I’ve been in involved in network marketing for over 10 years and have had minimal success until now. I’ve been with GDI for 22 days and have signed-up more people in that time period than I have in any other program. I immediately saw the huge potential in GDI, as they provide an excellent pay structure and excellent support for their members. I’ve been in numerous businesses, and GDI is by far the simplest and most cost effective to implement. I highly recommend GDI to anyone looking to start an affordable, yet very profitable online business. Everyone needs a website and the hosting options are perfect for getting started. The product is superb and the opportunity is incredible, as there will always be a huge demand. It’s also the most cost effective Network Marketing plan available. The seven minute movie is the ticket! I was very skeptical… but after reviewing the incredible opportunity that the GDI product offers and the support team, I was very much pleased that this is an amazing way to increase your income or start a new career. Congratulations! You have just come across something that has the power to change your life for the better, forever. We offer a week-long free trial of our entire package, no strings attached. We live by this simple yet powerful philosophy and we invite you to embrace it in order to achieve all of your dreams. The program you are being presented with here holds the potential to change your life, for the better, forever. We sincerely hope you make the most of the WebSite.ws Opportunity and we welcome your valuable, long-term participation! If you have already taken a moment to watch our exciting, brief presentation, you already know this. If you haven’t, then click here and “Get Ready for the Ride of Your Life!”. Or, try out our income calculator and imagine the unlimited potential of this once in a lifetime opportunity. You read that correctly! 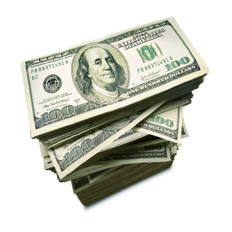 For every 5 paid affiliates you refer in a one week period, you’ll earn a $100 cash bonus. There is no limit! Refer 25 new paid affiliates in one week and you’ll earn $500! Our bonus contests are exciting.. The following contest rules, awards and eligibility requirements will apply. Please read the new rules carefully and let us know if you have any questions about how the contests will be run. Your account must be paid and in good standing. Your referrals will be counted for one calendar week. A “week” is defined as 12:00am Monday through 11:59pm Sunday, Pacific Time. The formula is simple: For every 5 new accounts signed up by an affiliate during the indicated date range, they receive $100. Only new signups that convert to paying customers on our first charge attempt on their 7th day when their free trial ends are counted towards bonuses. Because of our free 7-day trial, there is a one week delay after the contest week ends before your number of new customer referrals can be determined. Each person will only ever count once toward a weekly bonus and must be an active paid account in good standing at the time of bonus calculation. If a new signup is found to be registered by a person or entity with a current or former financial interest in another GDI account, the signup will not count as credit towards any of our bonus contests. Bonus winnings will be paid through your Preferred Commission Method along with your regular monthly commission. If you are a Premium customer, you may have your winnings paid immediately by PayPal. One week after the last day of the contest week, actual, confirmed winners are determined as the free trial members become paid affiliates. Because of our 7-day free trial offer to new affiliates, we do not know which affiliates will become paying customers until they are charged for their account at the end of the 7-day trial. Customers who cancel their account prior to being charged DO NOT COUNT toward the bonus contests. The contests only count actual new customers from whom we are able to obtain the $10 fee on our first billing attempt. Contest standings and results will be announced via email and on our members’ area leaderboards. Testimonial – provide a short testimonial about GDI’s opportunity and/or product to testimonials@wsdomains.ws along with your permission to use it on our testimonials WebSite. Promotional Tip – with your testimonial, include a promotional or sponsoring tip that will help other affiliates duplicate your success. Photo of yourself in JPEG (.JPG) format – attach a photo of yourself to the email you send to testimonials@wsdomains.ws. If you are a Premium customer getting paid early, you must provide the email address at your GDI domain to which you would like your winnings paid through PayPal - We will send your bonus money to a valid PayPal account using only an email address on the domain registered through GDI (This is for your protection and to verify that we are actually sending your money to you and not someone else). You can easily add this address to your PayPal account if you have not already. The email address at your GDI domain to which you would like your winnings paid through PayPal – We will send your bonus money to a valid PayPal account using only an email address on the domain registered through GDI (This is for your protection and to verify that we are actually sending your money to you and not someone else). You can easily add this address to your PayPal account if you have not already. All forms stated above as well as a completed and signed Form W-9. This form can be downloaded from here in PDF format, or you can pick up a copy at your local IRS office. All forms stated above as well as a completed and signed Form W-8. This form can be downloaded from here in PDF format, or you can pick up a copy at your local IRS office. PLEASE NOTE: Line 6 of the W-8 form indicates "if required". If you have a taxpayer ID (SSN or EIN), you should enter it in that box. If you do not have one, you should leave it blank. All of the appropriate paperwork should then be sent via email, fax, or regular mail. It is not necessary to send the entire Independent Affiliate Agreement Terms and Conditions or the entire Independent Affiliate Policies and Procedures. We require only the last signed page for each of these. You must provide all four of the above before we will issue your bonus money. If you have previously sent in your bonus requirement and we have your valid payout info on file, you will be paid automatically – so it is not necessary to send in a payment request or an additional testimonial and photo. Any affiliate referring 1,000 or more paid affiliates in any consecutive 4 week period is eligible to receive the Heavy Hitter Bonus. The bar has been set high! Are you a heavy hitter? Show us what you're made of by referring 1,000 new affiliates in a month and you'll be taking home an extra $5,000 in addition to the thousands per month you'll quickly be making in residual commissions. Since we first launched our Income for Life™ affiliate program in May of 2004, we've had people asking us "How do I earn the BIG bucks in GDI?". 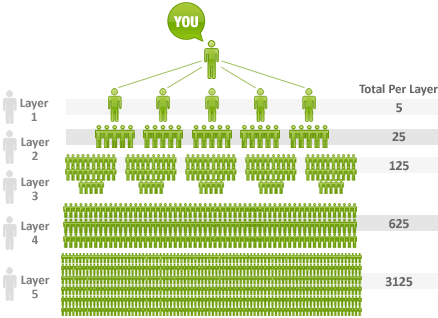 We've been running incredible referral contests, with many reps earning thousands of dollars in bonus money per month. However, for you serious players – the people who want to shoot for the moon – we're about to answer the BIG QUESTION, "How do I earn the big bucks in GDI?". By getting paid on ALL levels, down to infinity, that's how! Don't get us wrong, our current pay structure is paying out TREMENDOUS COMMISSIONS to those of you who are serious about building your GDI business (many already approaching 5 figures monthly) but this takes it to the next level – allowing the real "go getters" to reach a level of income they've only dreamed about until now. Imagine being paid not only on 5 levels, but on levels 6 through INFINITY. That could amount to some BIG extra income from the same amount of work. That's what the Infinity Bonus is all about. This will achieve the INFINITY OVERRIDE and you'll qualify to earn a 10% "unlimited levels" override, which pays down to the next qualifying "Infinity Override" on any given leg. How many people do you know who would like to earn an unlimited potential income, from the comfort of their own home, without ever having to talk to another person, and without investing one single penny to start? Did you know that there are literally millions of people online today, who are just waiting to be told about a legitimate, exciting new opportunity? As we mentioned in the presentation, we have access to a virtually unlimited supply of interested prospects. Contact your sponsor, Michael Wasnich, today about the latest news on our leads program, or sign up NOW, for FREE, and see for yourself! Your sponsor can answer any questions you might still have about this phenomenal opportunity, or help you sign up right now, FREE.